There are many ways to get to JeonJu. Among many kinds of how to get to JeonJu, to take an express bus or train is the easiest, the most convenient and the most popular way. Because all you need to do is get to a terminal or station in time and take the transportation. In my case, I got to JeonJu by an express bus and got back to Seoul by train. When you get off the bus at the terminal, you can see the main building of the terminal well. You may get out of the terminal to take a taxi or bus. I recommend you taking a taxi. Since the traditional village is not far from the terminal and taking a bus is difficult for foreign people, I think taking a taxi is better than taking a bus. If you have a big baggage, it is much better. You should tell a taxi driver that you want to go to the traditional village. 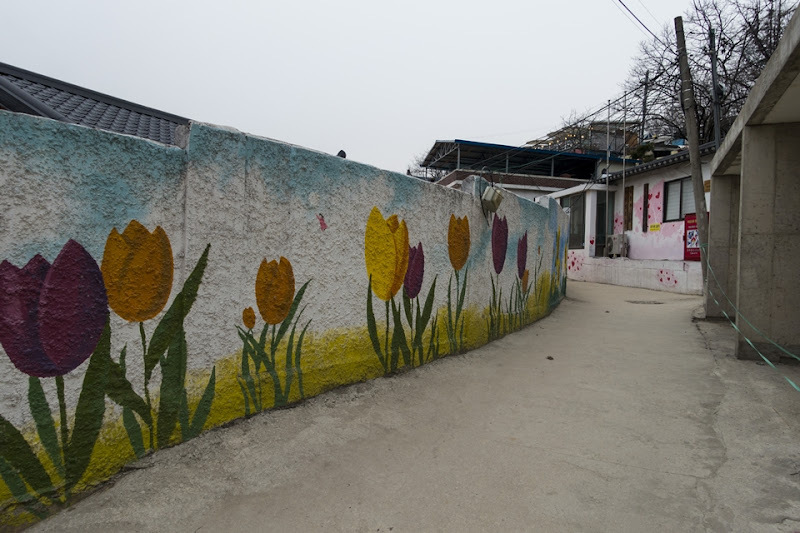 But do not worry, just say “HanOk MaEul please.” Within 15 minutes by a taxi, you can get to the traditional village. Maybe the first thing you can see is a catholic church which is taken photos with many people. The road of the traditional village is filled with so many people. They look around the traditional village and are in the lines leading to some good restaurants. There are so many (actually too many) good restaurants and food stalls. On the first day, I went to two food stalls. The first one is DdeokBongI(떡봉이). 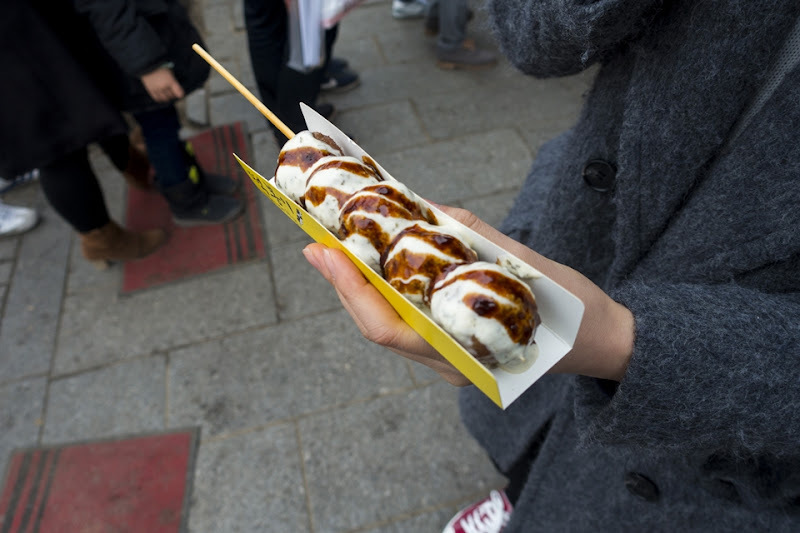 DdeokBongI sells skewered food with meat balls filled with cheese. It surely was opened within a year, because the stall was not existed when I came to JeonJu on July, 2013. And it looks new. Though all of the stalls in that point sell similar skewered food, it was not busy selling food. That is why I chose the stall. I hate waiting in a line. Taste was good. Though I do not know whether the others are more delicious, I do not regret that I chose DdeokBongI. The second stall I visited is Gilgeoria(길거리아). 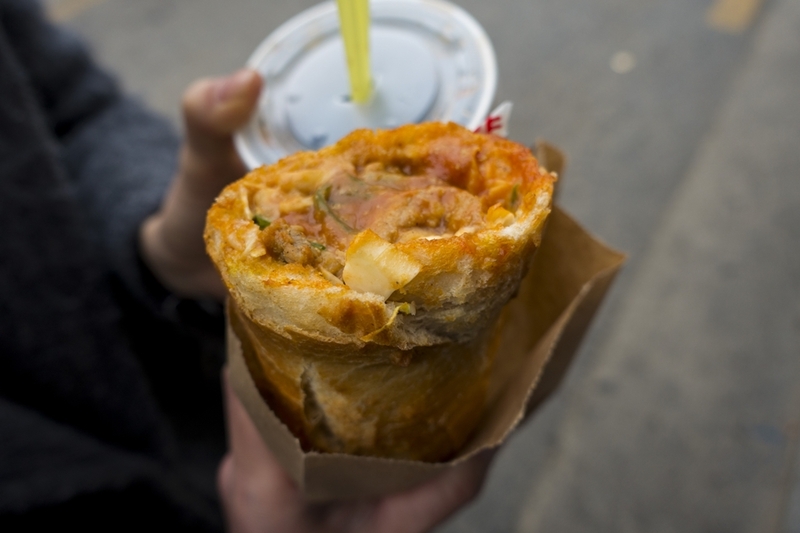 It offers you some drinks and baguette burger filled with pizza topping. It has been so loved for a long time, much longer than DdeokBongI. 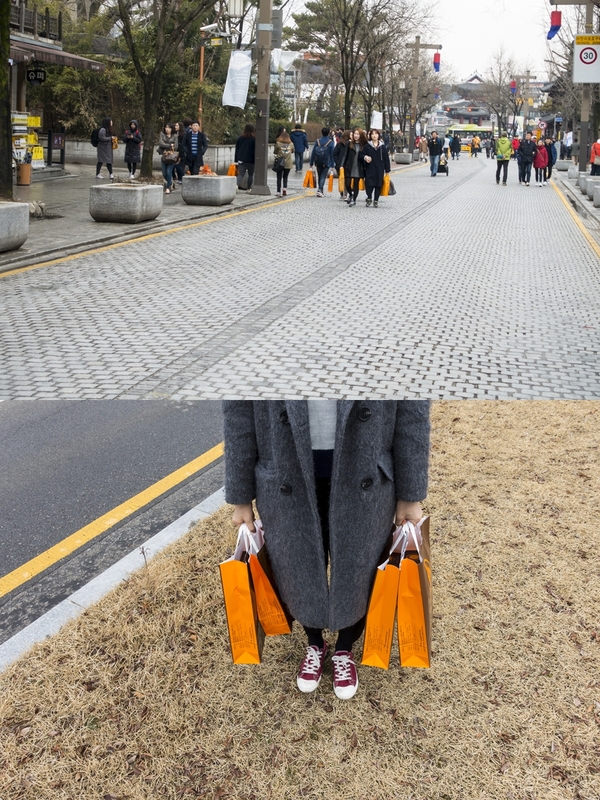 Every time I came to JeonJu, there were too many people as many as I could not even think of trying. 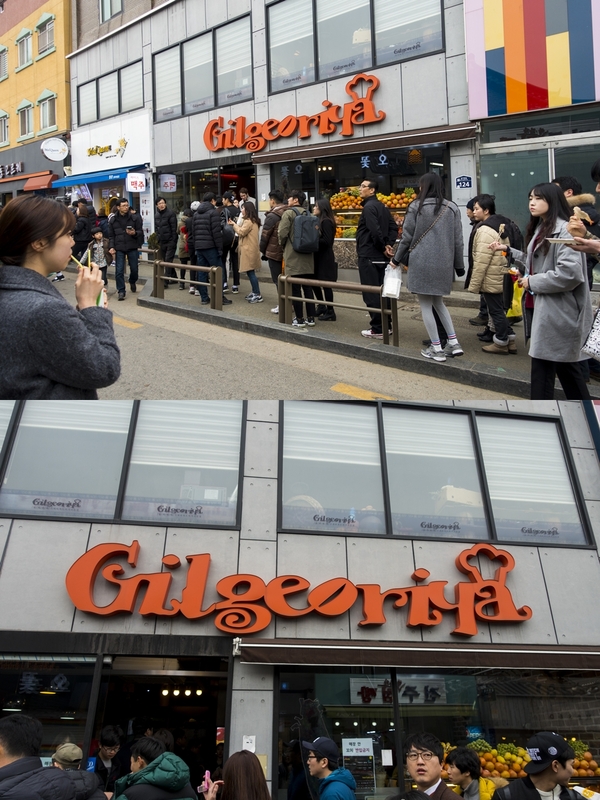 Maybe because of that many stalls are opened near Gilgeoria, the line was shorter than before. For me, it was most delicious food among the foods I had tried during that travel. But it is possibly little bit spicy for foreign people since they put some pepper in it. I firmly recommend you to try it. After I ate DdeokBongI and Gilgeoria, I walked and looked around the traditional village. The houses are so good. 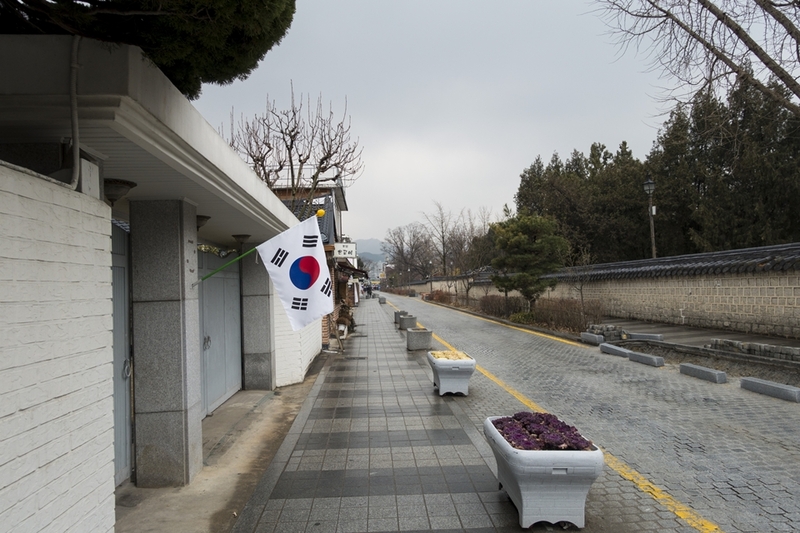 But, there were too many people, stores and restaurants in the traditional village in JeonJu. 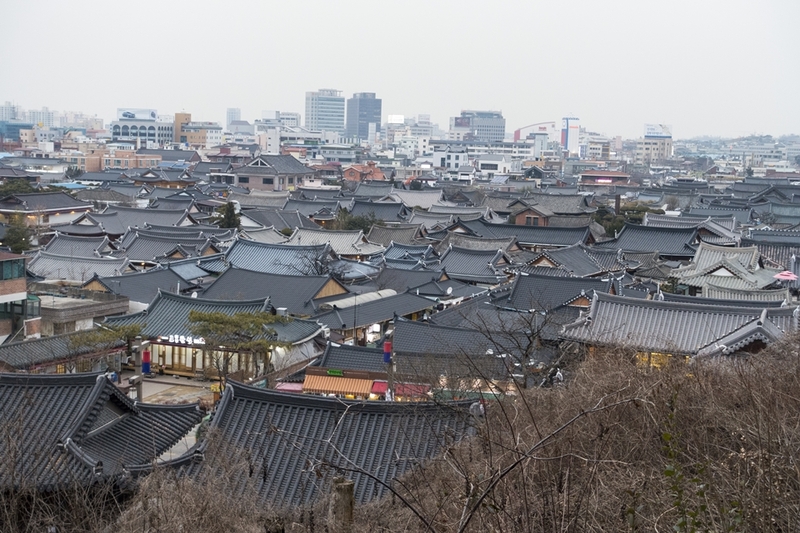 Recently the number of people who visit in JeonJu is increasing. I think the reason why is that many people opened their store (or restaurant) and advertise their store (or restaurant) by SNS. The place is extraordinary and there are lots of good restaurant in the traditional village in JeonJu. Furthermore, we always encounter the advertisement on SNS such as Facebook. From few years ago they started buying traditional houses and opened restaurants, food stalls and many kinds of shop. So now there are too much stores having an exterior of a traditional house. (I think there is only few traditional house which is made by our grandfather’s grandfather. Even when I was there, few houses were under construction.) I was so surprised and shocked when I saw Weeny Beeny, the jelly store. Only few years ago, the traditional village was so good to see the traditional houses. Compare to now, there was not that many people and stores, and was calm and quite. 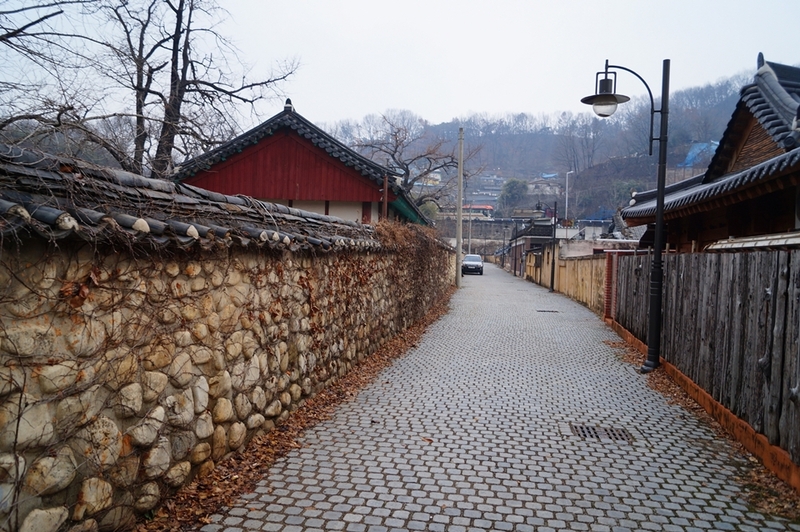 If you want to see the traditional houses, I think the traditional village in BukChon, Seoul is better. Deep inside of the traditional village, there is a small hill. And on top of the hill, there is a gazebo where you can see the whole of the traditional village. The view was quite cool. Beyond the hill, you can find many houses having paints on their wall. Once you walk along the pedestrian overpass you can get to there. In there, many houses are surrounded with paints on the walls. The place is good to take photos with funny and beautiful paints. There are many people who is wearing the traditional cloths. (especially most of them are couples.) In the traditional village, some stores offer you renting the traditional cloths. And they have many kinds of beautiful traditional cloths. I think, renting the traditional cloths is good to make awesome memories. After I took some photos of the national flag, we went to the Veteran to eat some noodles. Though when we get to there is not lunch time, there was so many people waiting in the line. They sell only two kinds of noodles and dumpling. The one is the noodle with sesame soup and the other is the noodle with spicy source made of Korean pepper source which is called KoChuJang(고추장). Since the two noodles are hot(hot temperature and hot taste), it is little bit hard to try for foreign people. 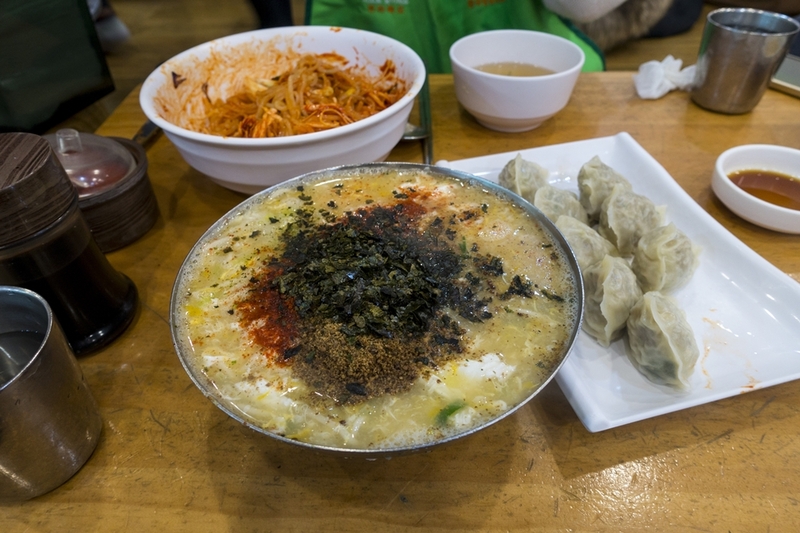 But for Korean, the noodles are what we should eat once we are in the traditional village. So it is not that bad for foreign people. 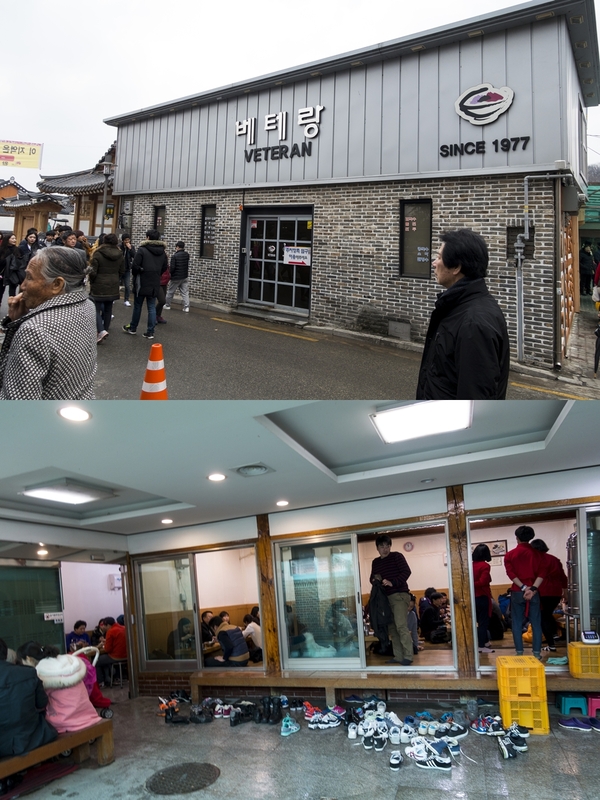 And do not forget that you should pay at your table right after ordering, every one working in the Veteran are so busy. I said there are two extraordinary things in the traditional village in JeonJu, and the first was that many people wearing the traditional cloths. The second extraordinary thing is that many people are carrying orange color paper bags on their hands. * You may wonder what the orange color paper bag is. The orange color paper bag is the symbol of PNB(PungNyun Bakery). 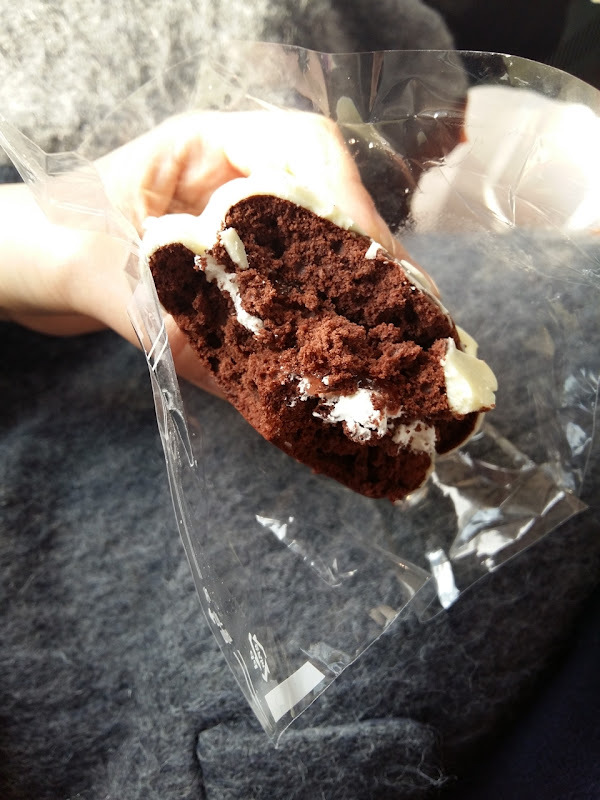 PNB is specialized on the chocolate pie that has sweet cream and strawberry jam between chocolate coated bread. Furthermore, they offer many kinds of chocolate pies. The PNB chocolate pies are so sweet, some possibly feel that it is too sweet. As i said, I got back to Seoul by a train from JeonJu station. I think JeonJu station is one of the most beautiful station in Korea. Since that, many people take photos in front of the station. The station is not that big, has only 4 platforms. 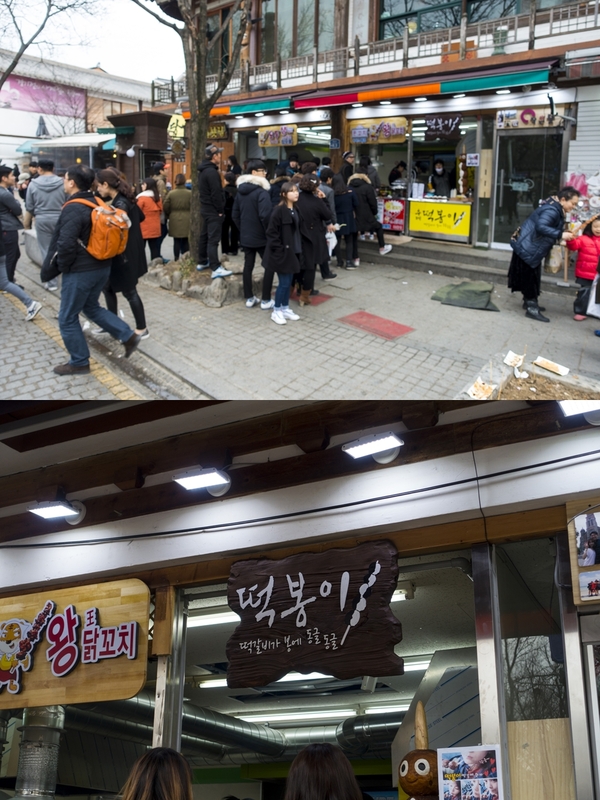 As I said, the traditional village in JeonJu is crowded with too many people and stores. So I think that the traditional village in JeonJu is not good for person who wants to see and feel the traditional houses in calm. If you are, I recommend you visiting in the traditional village in BukChon, Seoul. 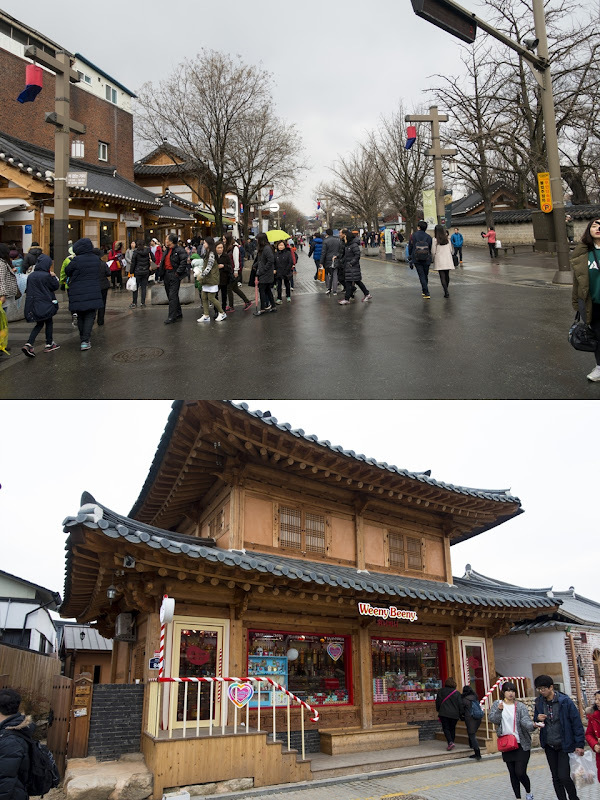 If you are not, if you like the place with many people, if you want to try many delicious food, if you want to see the one of the beautiful stations in Korea, the traditional village in JeonJu is good for you.